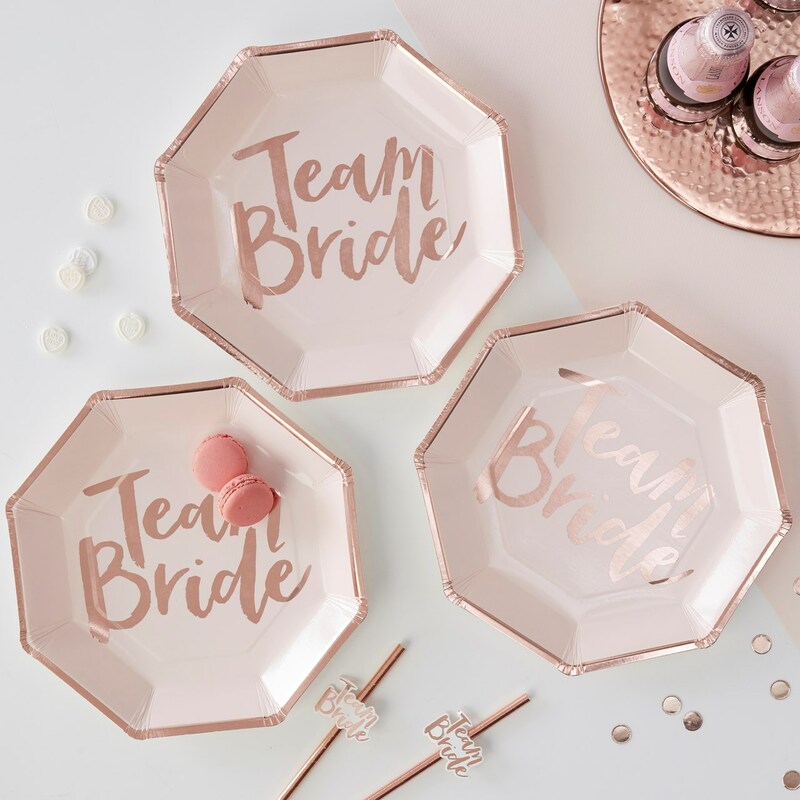 The Team Bride rose gold Paper Plate is perfect for eating tasty hen do treats. Whether you are dancing around the room or having a sit down meal, this plate will make sure the celebrations stay stylish! Be sure to add our Team Bride Napkins to avoid any spillages on those party ready outfits! Each pack contains 8 plates measuring: 250mm diam.